It is only a few months until this first term of the first ‘supercity’ draws to a close. It has been a rollercoaster ride with the car speeding up as all the projects that the Waitemata Local Board has championed come to fruition. It is immensely satisfying in the budget round to confirm funding for all those projects in our Plan that our communities have told us they want and have made submissions to us on. We came out of the Annual Plan process with a balanced-10 year budget fully operating within the Board’s budget envelope. We responded to the media bombshell last year that one of our suburban libraries might be forced to close by not only putting that firmly to bed, but actually increasing the service levels in three suburban libraries. Leys Institute, Parnell and Grey Lynn will now remain open in the evening for an additional half hour until 6pm from July allowing more use for those inner city people with busy lifestyles. 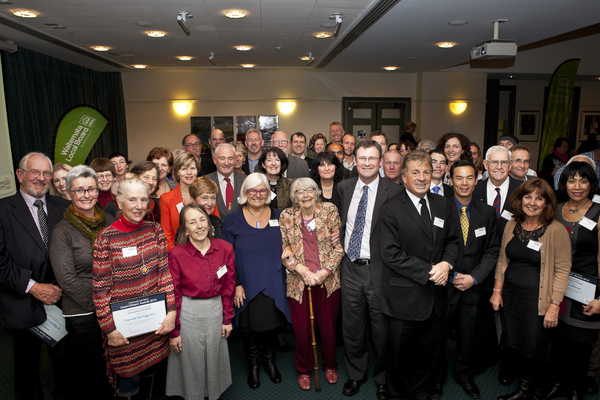 We are one of the first local boards in Auckland to initiate an increase in a specific level of service. Develop greenways to connect our parks and open spaces. The proposed upgrade of Pioneer Women’s/Ellen Melville Hall in High Street, is a great win for Waitemata. There is at present no community centre serving the ever growing communities of the city centre. We have responded to the changing needs and community voice. We have secured a $3.17m budget over the next two years timed for the Freyberg Square upgrade. It is to become a City Centre community hub. We await feedback over the next months about what type of redevelopment is needed. Myers Park upgrade is another very exciting project that is coming to fruition. Last year the Board signed off on a Myers Park Plan and a programme of works is scheduled to start over the coming 12 months. With a more compact city we must make the best of all our inner-city parks and this one which is specifically designed for children will be welcomed by those apartment dwellers with children who need safe venues for their children’s imagination to run riot. Thank you to all those who have come to local meetings and participated online to tell us your views on the draft Unitary Plan. There were indeed mistakes in the draft that we had not picked up pointed out to us in meetings and we were immediately able to have clarified and changed. One of particular note is Peel Street, Westmere that was wrongly classified as Terrace Housing & Apartments zone instead of Mixed Housing. The clear issues identified from feedback to be addressed include height, transition between residential zones, rural production versus landscape controls, the pre-1944 character overlay, and significant ecological areas. The Plan was always a draft able to be changed before notification later this year and we will see those changes coming through to reflect community views. We will not be supporting any weakening of the pre-1944 character overlay rules amongst any changes. The Local Board has inherited the mantle of civic responsibilities which is always rewarding. As ANZAC day audiences grow around civic squares in New Zealand, it was a privilege to lay a wreath in Grey Lynn RSL along with other people and groups remembering those who had served our communities and paid the ultimate price with their lives. I have found it rewarding to officiate at citizenship ceremonies each three months as our new citizens receive their certificates. Over 500 people come with their families to the Town Hall, their faces beaming as they are confirmed as new NZ citizens. 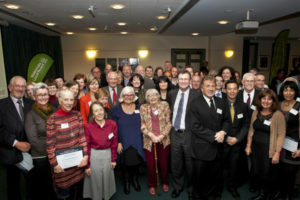 We rewarded ‘Good Citizens’ in Waitemata at the end of May. The wonderful altruistic recipients, who received community acknowledgement for their generous volunteer community work, are true heroes in our community.